Holding ICICI 250PE. Pls advice. Should i exit from PCJewel 320 CE?? Holding @13/- . CMP 8.8. Spot 304.
sun tv will go which level for today? sir what do u think igl , i bought intraday at 295.3, can i hold for monday? Hi jessi, yes, good support at 288-290. lets hold. Hi Sir, I have shorted Nifty futures at 10480. Shall I hold or exit? Hi Harshal, its a hold for now. can see some profit booking in a day or 2.
ongc what i do? sir? Ok. How does Vedl look for short term? Can I enter its futures for 1 week near 289? Hi DHRAUPATHI, its going strong. above 1360 can test 1420 levels. Hi CB.....At wat level Delta Corp can be bought???? ?Also please suggest if JP Associate is a buy at 18 - 18.5 range?????? Total @25 , and today closed @ 22 both. Can i wait on till expiry for meet profit above anyone @30. Hi Mrp, Wish you the same.. Happy Tamizh.. dabur does look strng. likely to recover. Hi Anbu, it can test 9400 in near term. bought havells future @547.what's the target ? Hi Monisha, yes, likely to. if opens flat tomorrow, hedge with a 460ce. Hi cb, good morning. 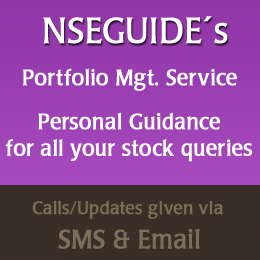 can i buy auropharma 623 futures and hedge with 620 pe? feels like it can go up another 10 points minimum.